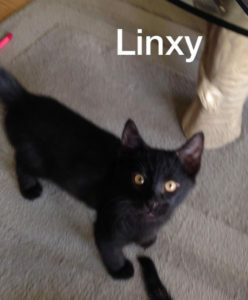 Linxy is fully black with gold eyes, long and lean like his name. 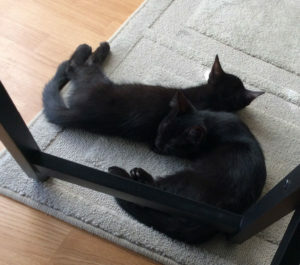 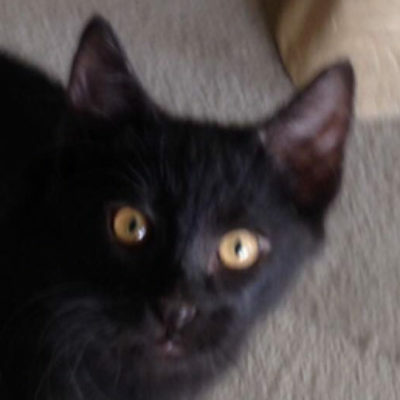 He is super playful and loves playing hard with his brother, Panther. After a good play he looks to his humans for cuddle time.